Petrolatum, Titanium Dioxide (Ci 77891), Isopropyl Palmitate, Mica, Ricinus Communis (Castor) Seed Oil, Copernicia Cerifera (Carnauba) Wax, Butyl Stearate, Euphorbia Cerifera (Candelilla) Wax, Beeswax (Cera Alba), Ceresin, Synthetic Wax, Talc, Microcrystalline Wax (Cera Microcristallina), Stearyl Heptanoate, Polyethylene, Stearyl Caprylate, Methylparaben, Propylparaben, Bht, Manganese Violet (Ci77742). A pink perk-me-up stick to brighten and highlight eyes. 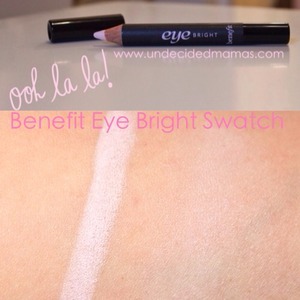 This instant eye brightener is like a nap in a stick! Perfect for all skin tones, this pink perk-me-up brightens your eyes and your spirits in a single stroke. Wear solo or with makeup. Apply to the inner and outer corners of your eyes and blend. Application on the inner corner of the eye will open up the eyes for a wide-awake look. For best results, apply as the final step after you've applied other makeup. A true must-have! Can be purchased at Ulta. Blends easily and can be applied before or after foundation application. It can be used as highlighter for brow, nose bridge, cheek bone & cupids bow! Easy for on-the-go use (I always have in purse to perk up my eyes mid-afternoon). Great for those all nighters! As a college student with a part-time job and a tendency to procrastinate, I'm basically a pro at pulling an all night. Of course all nighters have set backs (hello, dark circles?) so this product really helps me look awake when really, I haven't slept for hours. I use this in my inner corner and browbone as a highlight, but also under my eyes and it really makes my eyes pop. It gets me that well rested look without resting well! This is great to use on those days when you want to give a little brightness to your eyes! I like to use this on my inner corners, bridge of the nose, cheekbones, forehead, and cupid's bow; I use my finger to blend everything. I love how it has subtle shimmer to it and it's pink, so it looks natural on the skin! Don't use this on your waterline though, it can look a little too "smudged." Overall, this is a great product to make you look awake! I have allergies and I rub my eyes a lot, which I know is really bad...especially because then I get a bit of redness at the corner of each eye and on my waterline. This is the best remedy for that. I keep it in my bag! Looks more natural on the waterline than white, and works better than putting concealer on the redness - too much of that around your eyes will just look cakey and gross anyway. This also makes a pretty awesome brow/inner corner highlight, even without any other makeup. I love this pencil and I only use it on the inner corner of my eyes. That staying power of this product is GREAT! Last all day. If you want the bright eye awake look this will definitely work! I'm absolutely in love with this product! This (and Benetint) is really all I need to start my day. Forget a full face of makeup! I swipe this around my inner corners to brighten up my eyes, on my waterline to really open them up, and then on my browbone, above my cheek bone, on the bridge of my nose and my cupid's bow as a highlight. I love how this pencil is cute enough to bring around and small enough to toss into any purse. The price is a little on the expensive side, but it doesn't require sharpening often and will probably last for longer than enough to pay its dues. A must have in any purse, bag or box! This product is amazing for covering up any under eye problems that you might have. it's just the right shade to conceal and brighten, It works wonders. and it last a really long time. I will pair this with other concealers and place this on top for that finish touch that brighten my under eyes. 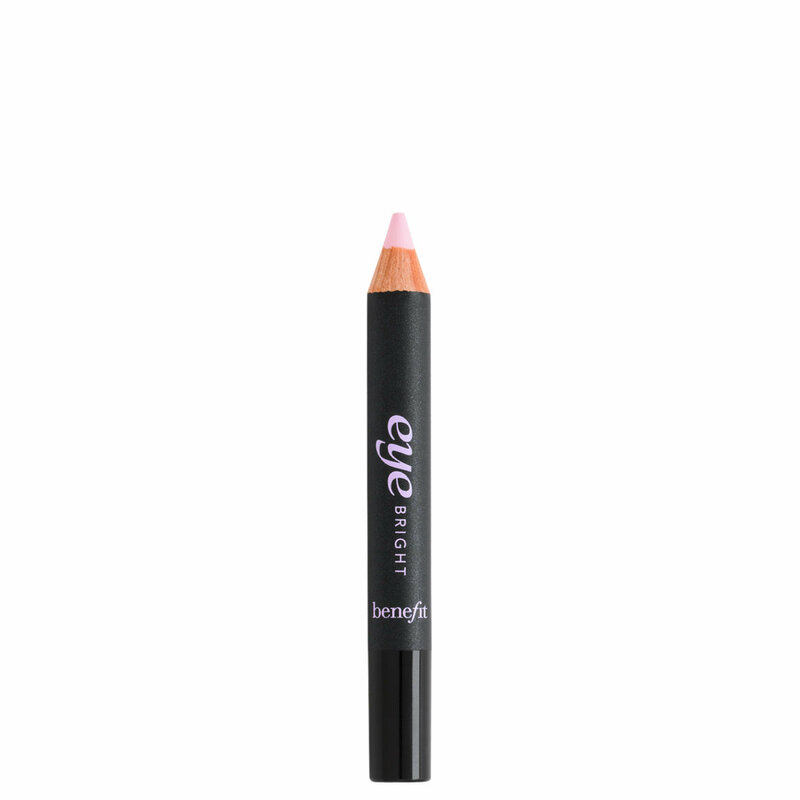 This pink pencil from Benefit brightens tired eyes. The pencil is supposed to be creamy but unless you have a primer or concealer on prior to application it does not glide on smoothly. However, I have used it under my eyes, on top of my eyebrows, corners of my nose, waterline and in my cupids bow & happy with the results. I have been debating buying this pencil & finally gave in because I couldn't find a light pink pencil anywhere else to line my waterline. Overall, I like what it delivers. You can buy it at Sephora or Ulta for $20 but it will last you a pretty good amount of time. This really wakes up my eyes! I use it in the inner corners and underneath my eyes. It takes two seconds to blend with your finger. It does crease a little bit on me, which is why I left off that last half star, but it might not do that for other people. I'll still be getting it again!